Redox properties enable copper to perform its essential role in many biological processes, but they can also convert it into a potentially hazardous element. Its dyshomeostasis may have serious neurological consequences, and its possible involvement in Parkinson’s disease and other neurodegenerative disorders has been suggested. 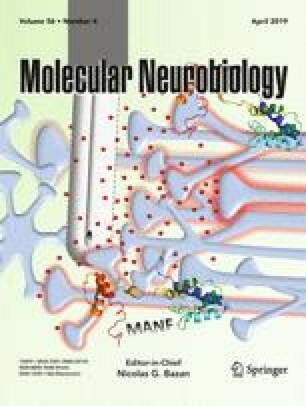 The in vitro and ex vivo ability of copper to increase oxidative stress has already been demonstrated, and the aim of the present study was to assess in vivo the capacity of copper to cause brain oxidative damage and its ability to increase the dopaminergic degeneration induced by 6-hydroxydopamine. We found that chronic copper administration (10 mg Cu2+/kg/day, IP) causes its accumulation in different brain areas (cortex, striatum, nigra) and was accompanied by an increase in TBARS levels and a decrease in protein free-thiol content in the cortex. A decrease in catalase activity and an increase in glutathione peroxidase activity were also observed in the cortex. The intrastriatal administration of Cu2+ caused an increase in some indices of oxidative stress (TBARS and protein free-thiol content) in striatum and nigra, but was unable to induce dopaminergic degeneration. However, when copper was intrastriatally coadministered with 6-hydroxydopamine, it increased dopaminergic degeneration, a fact that was also accompanied by an increase in the assayed indices of oxidative stress, a decrease in catalase activity, and an augmentation in glutathione activity. Evidently, copper cannot cause neurodegeneration per se, but may potentiate the action of other factors involved in the pathogenesis of Parkinson’s disease through oxidative stress. This study was partially supported by the Galician Government (XUGA), Santiago de Compostela, Spain (No. 09CSA005298PR), the Spanish Ministry of Economy and Competitiveness (grant number BFU2015-70523), the Spanish Ministry of Health (CIBERNED), and FEDER (Regional European Development Fund).